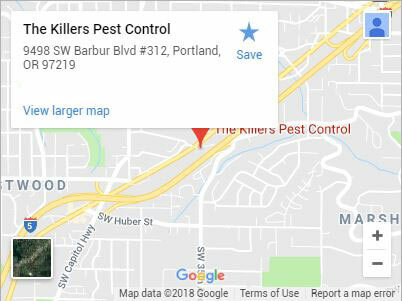 For a fantastic exterminator in Oregon City, request The Killers. When you have a pest problem, you don’t want to control it, you want to eliminate it. Pests are more than just an inconvenience, they disrupt your life. Without the prompt services of an exterminator, what seems like a small problem can quickly spiral out of control. 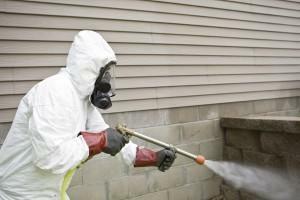 An elimination treatment from our exterminators provides you much more than peace of mind. It provides you with a guarantee that no matter what the insect or mammal you’re up against, you can rest assured we’ll eliminate the problem in its entirety. Health Problems – Pest can cause extensive health problems, and you may not even be aware that they are the cause. 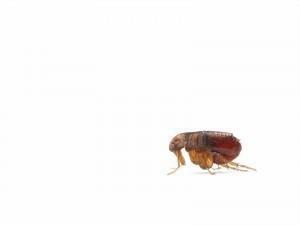 Cockroaches can cause allergies to appear in individuals who haven’t previously experienced any, including children. Your exterminator in Oregon City will be able to identify potential health hazards caused by pests and exterminate any causing you harm. Property Damage – There are a large variety of pests that cause property damage. Silverfish diets consist of a carbohydrate found in plaster, book bindings, photos and even clothes. They will consume these items whenever possible. Rats and mice enjoy chewing on electrical wiring in your wall. This can start a short and even cause a fire. That’s just a start and many critters also frequently mark territory which can cause allergens or contain viruses and parasites. Pest Expansion – When you don’t get an exterminator immediately, it leaves time for pests to continue expanding their territory. Many pests have fast breeding and maturity cycles, causing a problem to grow very quickly. Eventually, they have to find new nesting areas which can lead to a more expansive treatment process for your exterminator and the potential for greater damage to both health and home. We’ll check your property from top to bottom, both outside and in to determine entry points, nesting sites, and other determining factors that may contribute to your infestation. With a vast knowledge base and decades of experience in the Northwest, we’ll identify any pests on the premise. We always speak with you before an exterminator follows through with a plan in order to ensure it falls within your budget and meets your needs. Plans are designed around your property, occupants, lifestyle, and many other considerations. After we have the approval from you, your exterminator will carry out an expansive, guaranteed extermination process to rid your property of unwanted guests for good. For a skilled exterminator Oregon City knows and trusts, call (503) 777-3141 or contact us today. As the end of the Oregon Trail, Oregon City isn’t just a wonderful community and a great place to call home, it’s full of landmarks that go all the way back to the beginning of westward expansion. Oregon City is home to a number of fascinating places. The William L. Holmes House dates back to 1847. This quaint homestead is open to visitors during the summer and the first territorial governor gave his inaugural address there. The End of the Oregon Trail Interpretive & Visitor Information Center features artifacts and information on settlers hardships and lives when arriving in Oregon City. Those looking for a good mix of modern convenience and times past should visit the Oregon City Farmers Market. Albany, Beaverton, Canby, Clackamas, Corvallis, Gresham, Lake Oswego, Lincoln City, McMinnville, Milwaukie, Newberg, Newport, Portland, Salem, Sherwood, Tualatin, Vancouver WA, West Linn, Wilsonville, Woodburn and more!